Who doesn’t love a good chopped salad? Particularly in the throws of summer. My only problem with chopped salads is the lettuce. Actually, my problem with all salads is the lettuce. Who needs that? Let’s be honest, it’s just filler. No one orders a salad for the lettuce. It’s for all of the other goodies, right? For the record, I’m totally fine with spinach salads because spinach isn’t lettuce. 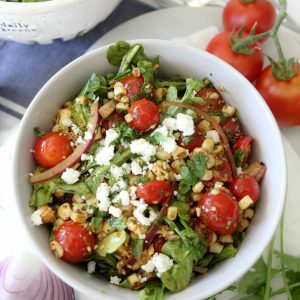 When I decided to make this recipe I decided to cut out the lettuce and stick with what we’re all really here for, the good stuff. I also decided to make this salad Whole30 compliant. 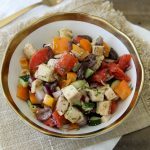 Not only am I starting a round of Whole30 August 1st, but the official Whole30 is coming up in September and I wanted to make sure I have lots of new recipes to share with you. Let’s chat about Whole30 for a bit shall we? This is my 4th (I think?) round and after a few months of remodeling and working on my secret project (I’ll share it with you soon, I promise!) I’m wanting a reset and a chance to get my eating back on point. The truth of the matter is, I probably don’t need the entire 30 days at this point in my eating/food life but I like having a chance to do the full program again. 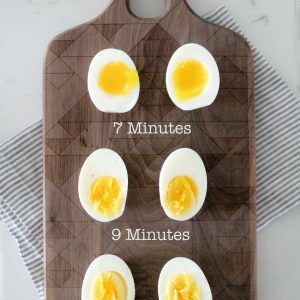 Each time I learn something new, come up with new recipe ideas and hacks and I’m happy to pass that along to you guys. Post multiple Whole30’s I feel like I’m at a point in my food freedom where I can’t un-learn what I know about nutrition and my relationship with food. I also know that I really do love eating clean, minimally processed foods that make me feel good. I know what I feel like when I eat a bunch of junk and I know that most of the time, not always, I’ll choose foods that make me feel good. I know eating this way has finally stuck after years of going at it. It doesn’t mean that I’ll never have some fro-yo or dive into a bag of Doritos, it just means those kinds of things are the exception and not the regular. It’s something everyone can achieve once they make the decision to not give up on themselves. The key is that you have to decide to not look at indulging in “bad” food as a failure, because that’s going to train your brain to think this isn’t something you can do, something you are failing at. And who wants to continuously feel like a failure? Not me. You have to commit that no matter what, you’re going to keep going. Commit to making better decisions, different decisions. Eventually, those decisions will start to stick more and more and it gets easier. A Whole30 does’t magically fix everything. It’s the beginning of a journey and you’ll learn a lot along the way. But don’t forget, it’s a beginning. You aren’t necessary going to come out of it with picture perfect eating habits for the rest of your life. You need to abandon that thought because that’s what will set you up for failure when you have a giant slice of pizza. What you will gain is knowledge about food and yourself that you can’t unlearn. It will be up to you what you do with that knowledge moving forward. Hopefully it sheds a little realism and light onto this all for you? In short, you’ve got this if you want it. All right, back to this anti-lettuce chopped salad. It’s so fresh, clean and perfect for summer lunches. You can even sub in rotisseries chicken to make it even easier. I obsessed with olives so I doubled what you see in that recipe as an FYI. You either think that’s gross because you hate olives and you’re figuring what you can add instead (artichokes hearts) or you’re loving that because you’re an olive-chile yourself. I feel like I should write more about this killer recipe for you buuuut the truth of the matter is that I’ve been at my computer since 11am (It’s 6:35 now) and I’m kind over it. So hopefully this killer recipe is delicious enough that you’ll forgive me? 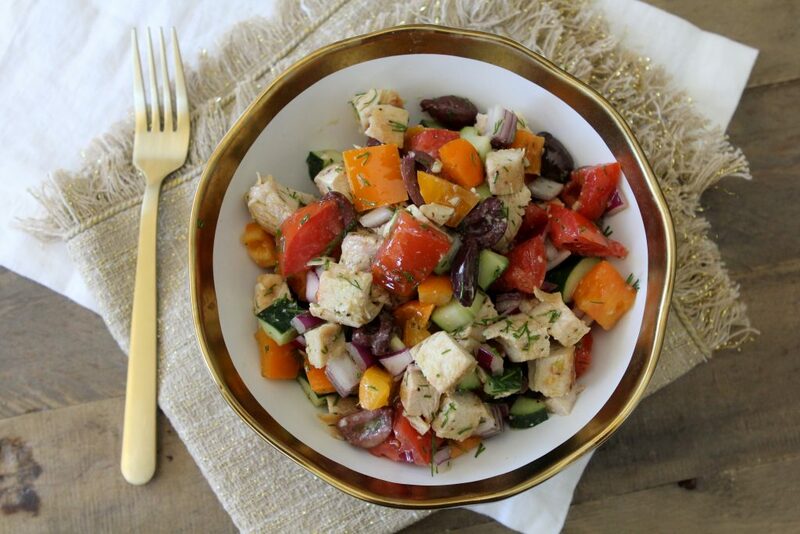 An easy-to-make Mediterranean Chopped Salad from the Whole Smiths. So delicious and great to make ahead! 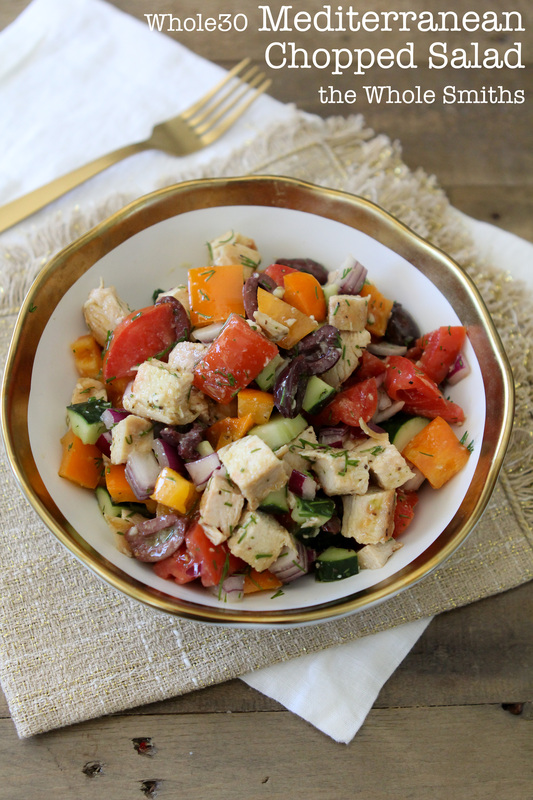 Whole30 compliant, paleo, gluten-free. 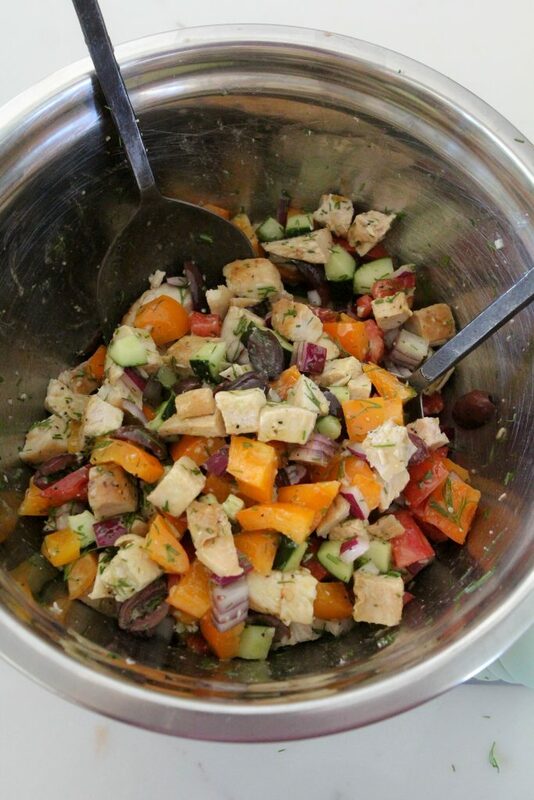 In a small bowl, add all of the dressing ingredients together and whisk together well. Set aside. 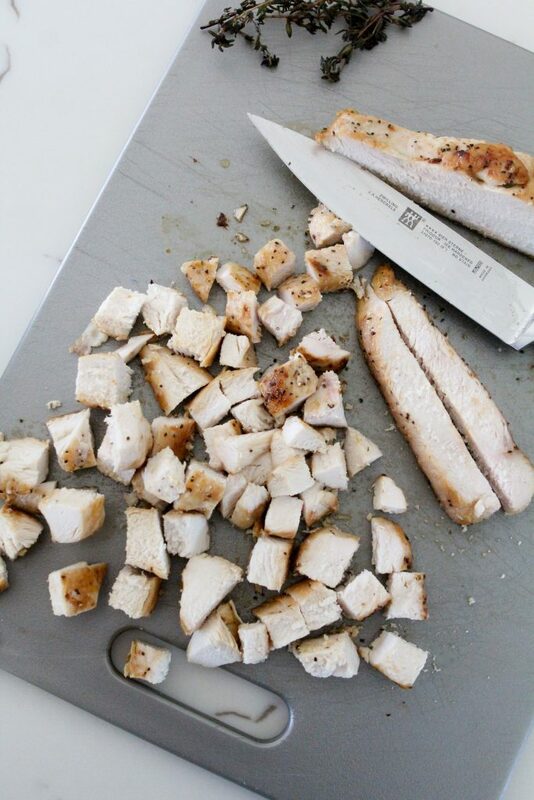 Sprinkle the salt and pepper over both sides of the chicken breasts. Heat a medium sized frying pan over medium heat and add the 2 teaspoons of olive oil and the ghee or butter to the pan. 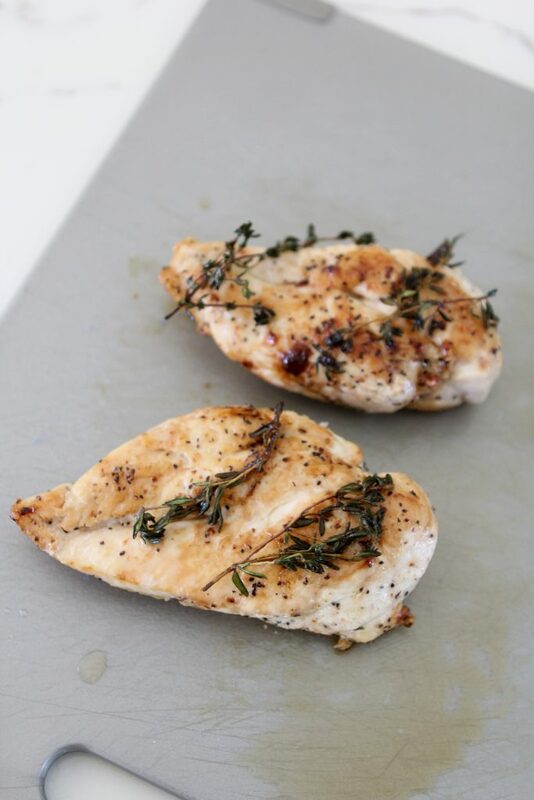 Once the oil is hot, place the chicken and thyme into the oil and cook on each side 5 to 6 minutes until the chicken has an internal temperature of 165*. When the chicken is cooked through, set aside to cool. Once cooled, chop the chicken into bite-sized cubes. 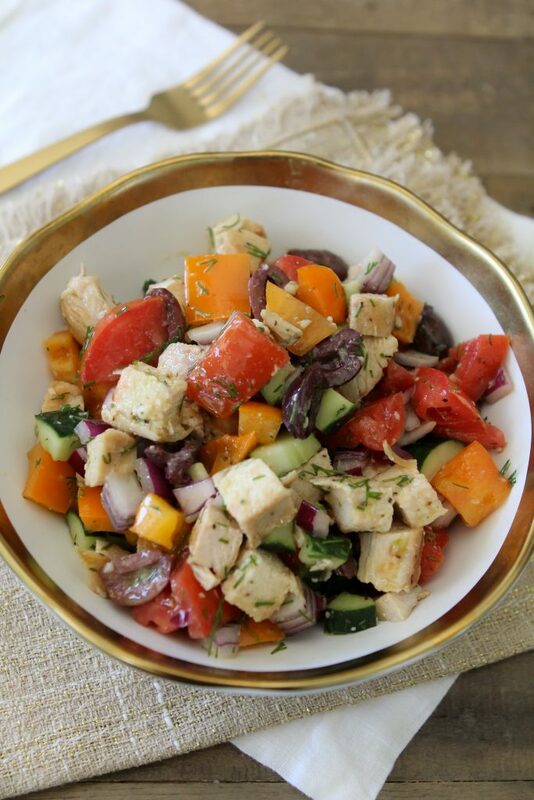 Add the tomatoes, cucumber, bell pepper, red onion, olives, dill and chicken to a large bowl and combine. 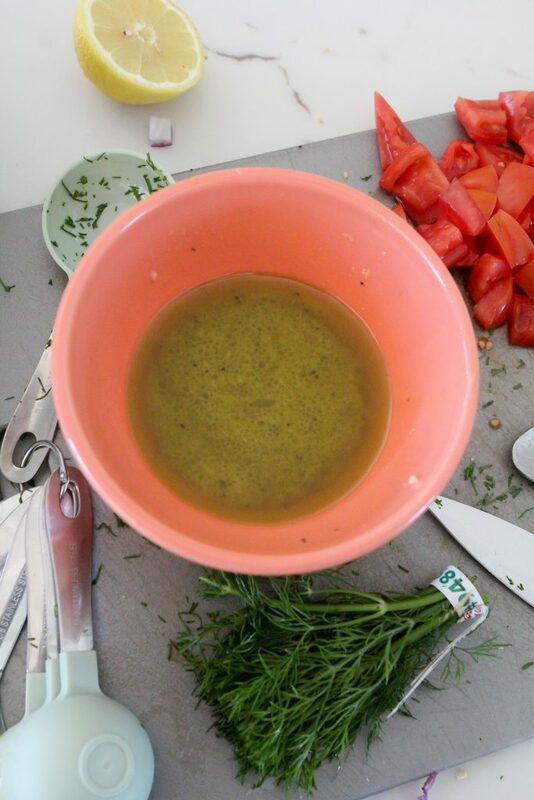 Pour the dressing into the bowl and toss to coat. Serve immediately or refrigerate up to 3 to 4 days. I’m going to do my very first Whole30 in September. 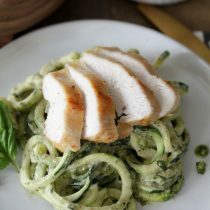 This looks so good and a must-make recipe for then! I love your site! This has become a go to recipe for me. I love how simple and tasty it is!! So good! The dressing is fantastic! I added parsley and some chopped compliant artichoke hearts. Beautiful and delicious, thank you!